How would it feel if you could easily (and quickly!) help your clients FINALLY quit their soul-sucking 9-5 and start the side hustle of their dreams? Imagine, helping your clients build a thriving online business, without the hassle of spending weeks or months getting it set up and launched. I’m sure you’ve heard it before from clients. Maybe you’ve even been there yourself. But not having enough time to plan and execute really puts a damper on any dreams to create a side business. But there’s good news! Planning out a lucrative side hustle doesn’t have to be an overwhelming task. Whether your clients are looking to completely quit their 9-5 and ditch the weekday grind, or they just want to start something on the side to bring in extra cash, it’s completely possible to plan out their side hustle income in just one weekend. 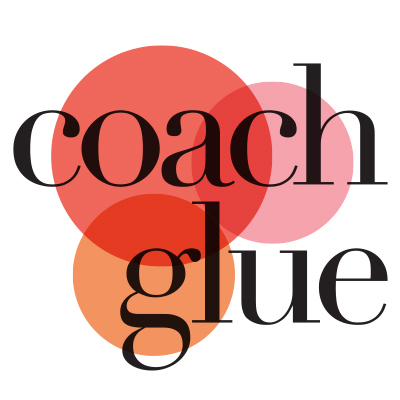 For any coach that helps others live their dream of being their own boss, this is the perfect planner! 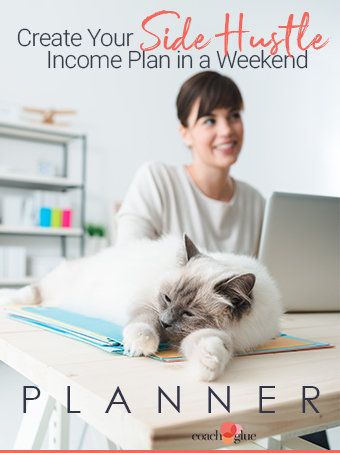 We created a Done-for-You “Create Your Side Hustle Income Plan in a Weekend” Planner that You Can Sell as a Product or Challenge, Add to Your Membership Site, Or Create a VIP Day Around! We’ve done all the hard work for you, and we’ve made it super affordable so it’s easy on the wallet. How Cool Would it Be if You Ran a Challenge in Your Facebook Group and Based Each Day’s Training on One Step from this Planner…And Then Funneled People into Your Higher End Courses and Programs? But you know what’s really awesome? You can charge people to join your challenge! Not only will they get access to the private Facebook group and your daily trainings – but you can give everyone who signs up a copy of this planner! And because YOU get this planner in doc format, you can completely customize it to your business. Brand it with your colors and logo, add in your website information and offers, tweak the content to add examples, additional information, and more. Then simply save it as a PDF and load it up to your shopping cart or members area! “Do what you love and the money will follow,” is never more true than when it comes to a side hustle. And it’s especially true for those who love to code or design or even hang out on Instagram all day. Now that you’ve completed your brainstorming list, it’s time to review those options and decide what’s plausible and what can sustain you long term. After all, the last thing you want is to let something you once loved turn into burnout. Every business has one, and she’s as unique as you are. In this step, you’ll dig in and get to know her hopes, dreams, struggles and triumphs. There’s a big difference between an idea and a viable business. The best way to see what’s working? A little reconnaissance. Designing your packages can be a struggle when you’re just starting out. Keep an eye on what others are doing and tweak their ideas to match your unique brand. What sets you apart from your competitors? What gaps are you uniquely able to fill? When someone does a Google search for your skills, what will make them click on YOUR search engine listing instead of someone else’s? Now that you know what’s uniquely you, you can design your brilliant branding. Some people describe a brand as your company’s personality or image, but branding is really much more complex than what color palette you choose. Let’s get down to business and get your virtual storefront online and ready to greet new clients. Just as in the olden days of receiving catalogs in the mail, your dream clients will first want to browse to see what you have to offer. Your website is the first impression people will see about your business so take your time to make it a good one. With your dream client defined, a little reconnaissance work done, and your brand firmly established, it’s time to create your service packages and page. Don’t let your low budget or the process of hiring a graphic designer get you stalled in your planning. Technically you don’t need to have a professionally designed and SEO-ed website to get started, but you do need a few key pages in place. Wishing for clients won’t make them appear. You need an actual plan. No matter how well optimized your website may be or how often you post on social media, clients won’t find you without you telling them you’re open for business. And while word of mouth is a great way to get new clients, starting out will require you to toot your horn a bit while you go looking for those dream clients. Step 12: And it’s Go Time! Everything you’ve done has led to this final step-flinging open your virtual doors and telling the world you’re available for hire. Take that marketing plan and put it into action. Consistent marketing every day will build momentum, expand your reach, and will attract the people who need to see and hear your message–your dream clients. Plus, We’re Throwing in These 5 Bonus Blog Posts! Just drop these golden babies right into your blog and VOILA! Shareable content to generate love for your upcoming launch. And, with a little tweaking, you can easily use these golden nuggets as emails too! Imagine! If you sold just 2 copies of this planner at $27 each – you’d cover the cost of buying this planner AND everything after that would be profit for you! Do you think you could sell 2 copies? We know you can! Join the Monthly Planner Club for Only $20/month! You’ll Get Instant Access to Current Planner AND You’ll Get a New Planner Every Month! Not interested in the club, but still want this planner? Click here to buy this planner without joining the club! Use it to plan Facebook live videos – you could do one livestream for each step the planner. After you’ve used the planner, put together a case study based on your own results and sell your system as a workshop or course or webinar. Gather experts and host a webinar on this topic and use this planner as one of your upsells. Offer this planner and a quick tutorial video as a bonus when people purchase your favorite business tools or resources through your affiliate link. Design a 7-day challenge around this planner (or course) walking your audience through each step with a video, audio, or guest expert interview. Work through this planner with your clients to help them plan their own side hustle. Once it’s planned offer them a package where you’ll implement it for them (or have your team implement it).